By the Light of the Silvery Moon- You too can find your hidden treasure in the dark with nothing to guide you but a map with a giant X to "mark the spot". 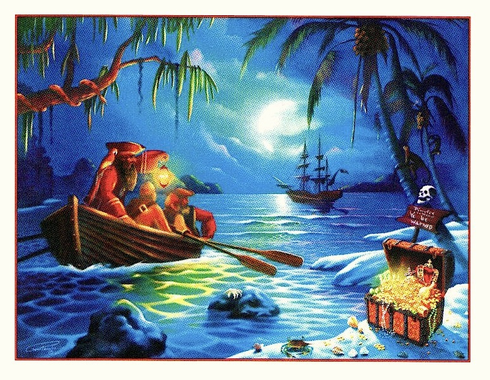 Live out your pirate fantasy in this 300 piece puzzle. This puzzle measures 18" x 24". This puzzle is Eco-Friendly and printed with Soy-Based Inks on Recycled Board. Proudly made in the USA.